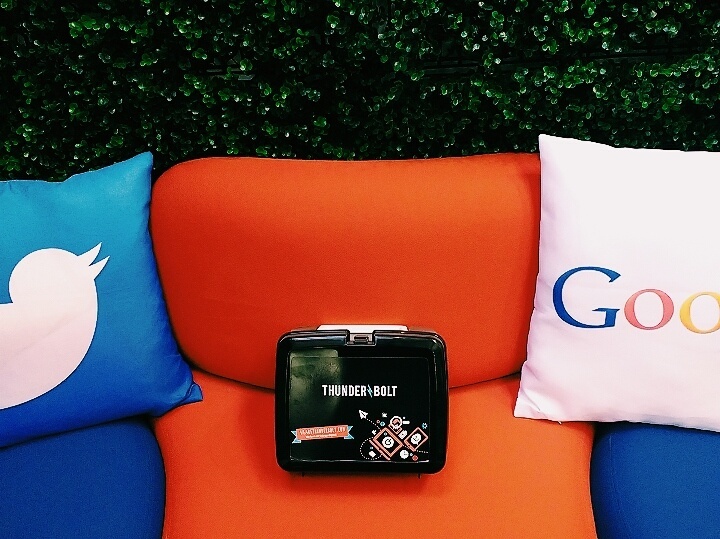 Get Your Own Thunderbolt Lunch Box! Here at Thunderbolt digital we like to have a little fun and made our very own lunch box! It’s been a fast-paced few months, designing, developing and building fantastic websites and mobile apps for our clients. Many of Thunderbolt’s staff members (and some of our clients!) have barely taken a break for lunch! I thought I should give everyone a reminder that these days it’s important to take a break even if it’s only for 20 minutes. We have created our very own Thunderbolt lunch box as a permanent reminder that everyone should have a break from work for a little bit of “me time ” and what better time in the day than lunch. If anyone knows of any companies looking to refresh their online presence by means of web design, a new website build or app development and need a digital web design agency based in Farnham, Surrey, tell them to get in touch with us! Let us know and we’ll send you a free lunch box if it turns into a face-to-face meeting. We are here to help with all aspects of web design process! Please email us at howdy@wearethunderbolt.com or call us at 01252 413 757. Previous Post << Creative Digital Media Apprentice – Could That Be You?